In January 2002, the word of the Lord came, saying, “I am raising up a global bridegroom fast; ask Me to release one hundred million believers worldwide to come before Me in one accord for three days each month until I return.” Mike Bickle. Today, hundreds of churches, ministries, youth groups, campus ministries, businesses, leaders, moms and dads, students, etc,all over the globe have joined this type of fast in unity to pray in one accord. What is the Global Bridegroom Fast about? The Global Bridegroom Fast (GBF) is a monthly worldwide solemn assembly of God’s people for a time of prayer with fasting, seeking the face of God for a greater release of the revelation of the Bridegroom God. It is also a time where many gather for times of fasting and corporate prayer for the breaking-in of God into our lives and into the Body of Christ worldwide. The Global Bridegroom Fast is held on the first Monday, Tuesday, and Wednesday of every month during the months of January to November, and the first Monday through Sunday of December, making a total of forty (40) days of fasting each year. What is the Prayer Focus? What does the bible say about Bridegroom Fast? The Global Bridegroom Fast (GBF) is fasting that is motivated by experiencing the burning desire of Jesus’ love. The apostles had become accustomed to experiencing intimacy with Jesus during His earthly ministry. However, when the Bridegroom was taken away (by His death on the cross), they mourned to experience the former embrace of His Divine love. This mourning compelled them to fast, crying out, “Jesus, I must have more.” Thus, they “mourned with fasting” for renewed experiences of intimacy with God. The GBF is focused not on earning or deserving more of God but rather on enlarging our capacity to freely receive & experience more of the ocean of Jesus’ love. From this reality, the Body of Christ will eventually enter into the fullness of God’s power. 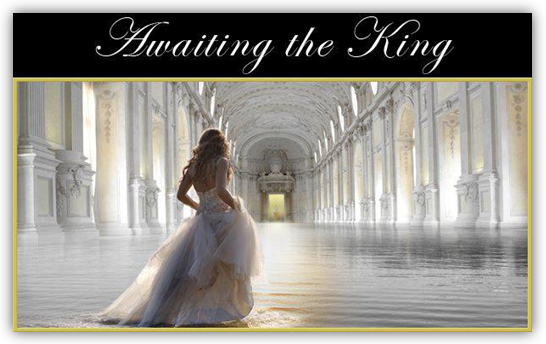 Esther is a picture of coming to the King for power through prayer & fasting empowered by confidence in love. What do we do during the Global Bridegroom Fast? We wait before the presence of God to hear His voice & to receive His love. (Isaiah 40:31). We meditate on the Word of God & allowing the Holy Spirit to release revelation unto us. (1 Corinthians 2:10; Ephesians 1:17). We pray for the release of the fullness of Holy Spirit in the Church (John 14:12), Revival & Harvest (Malachi 4:6; Matthew 24:14), Salvation to Israel (Romans 9 – 11), etc. It is important for God’s people to gather, seek His face, fast & pray in such a crucial hour as this so that the will of God can be done on earth. For extreme times require extreme measures. It is time for the people of God to rise up in her bridal identity to abandon herself to Jesus in lovesick worship with fasting & prayer in order to more effectively preach the gospel, serve the poor & heal the sick! Fast along with the Global Bridegroom Fast schedule (1st (Monday to Wednesday) of each month). Click here for hints, guidelines and more information on fasting and the Global Bridegroom Fast.